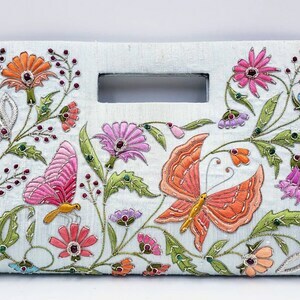 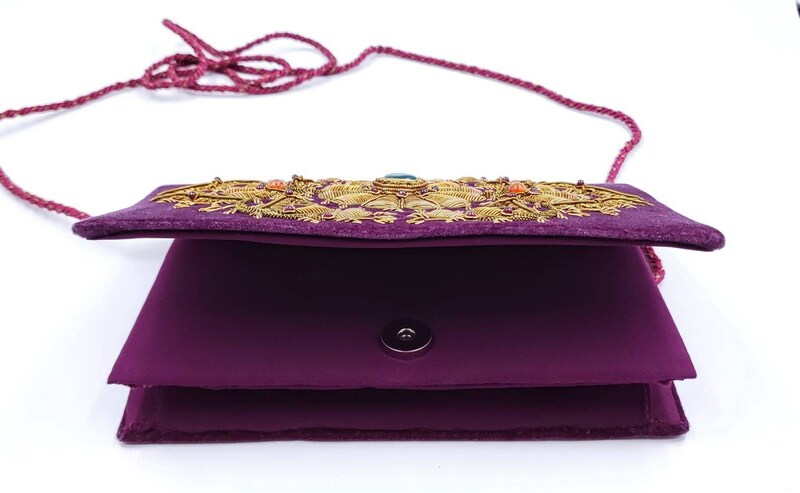 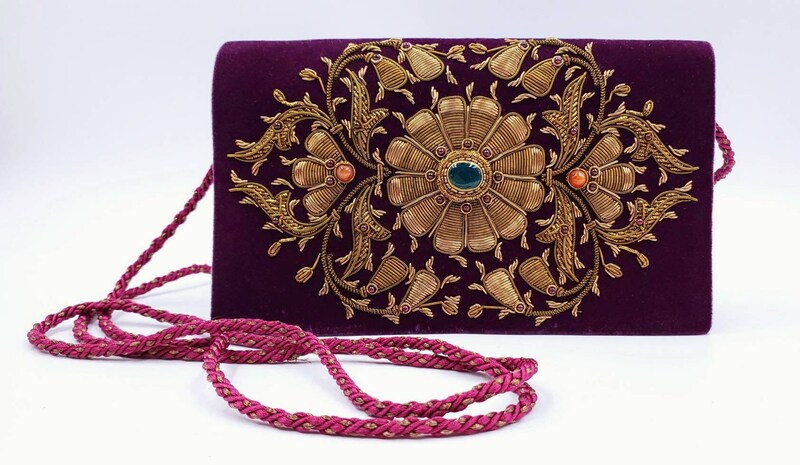 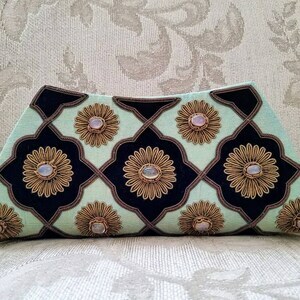 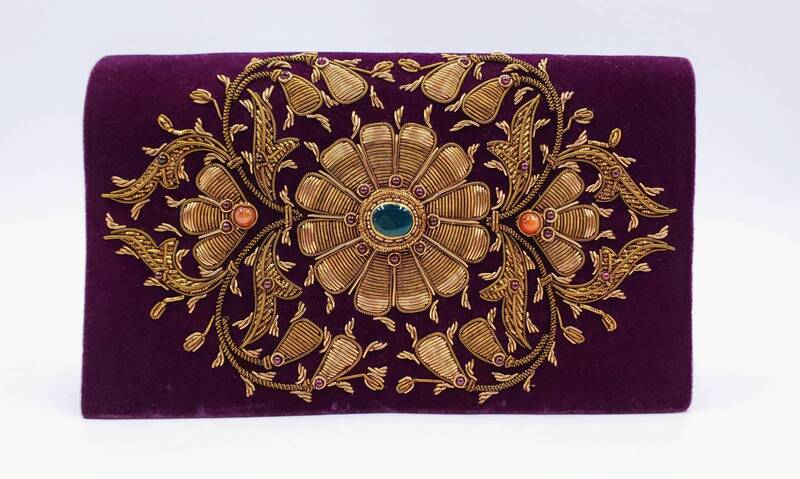 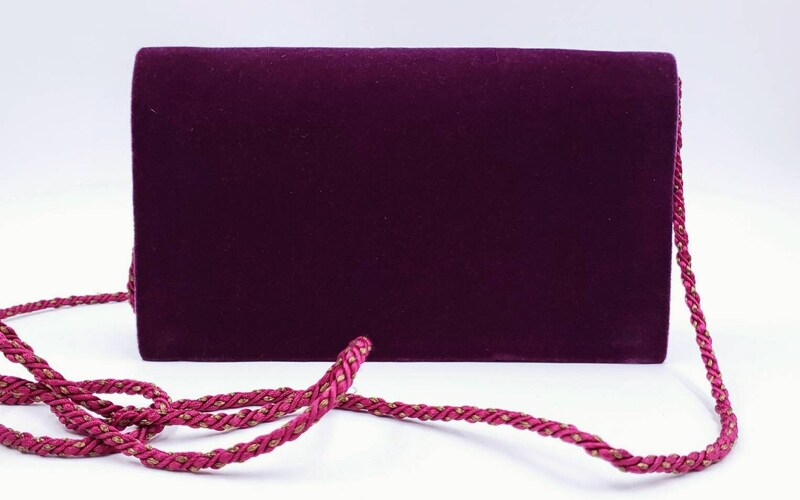 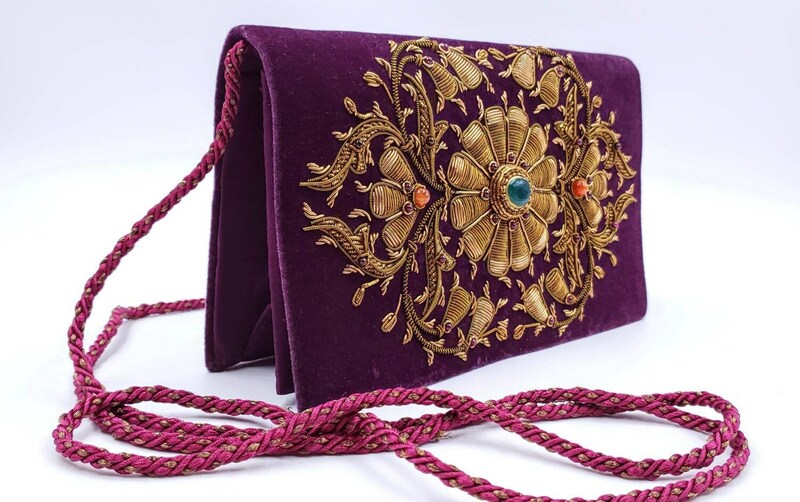 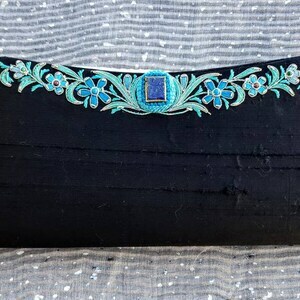 Elevate your style with this exquisite embroidered purple/eggplant velvet clutch, in the zardozi tradition. 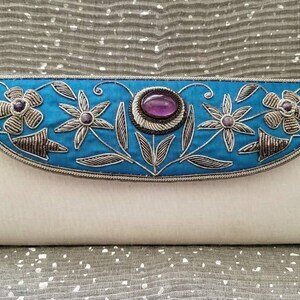 Meticulous detail and quality. 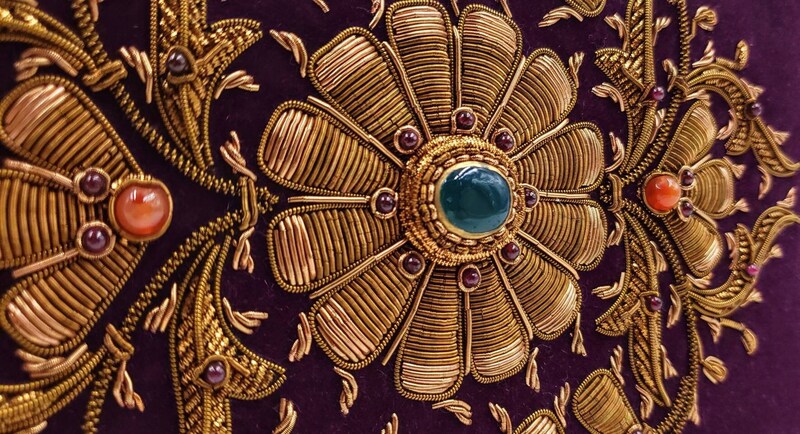 Heavily embroidered scrolling flower vine in 3D, using copper colored metallic threads and frosted colored threads and genuine semi precious stones sewn in - green onyx, garnets, carnelian.